Horse chestnut trees provide seeds, leaves, bark and flowers that have long been used to make medicine. The seed extract, in particular, has been studied for aiding with circulation problems that hinder the return of blood from the legs to the heart. I has been suggested that horse chestnut seed extract may be beneficial for helping with this issue in the short term. Vitanica offers a natural supplement called Horse Chestnut that seeks to support the veins and capillaries in the lower extremities. 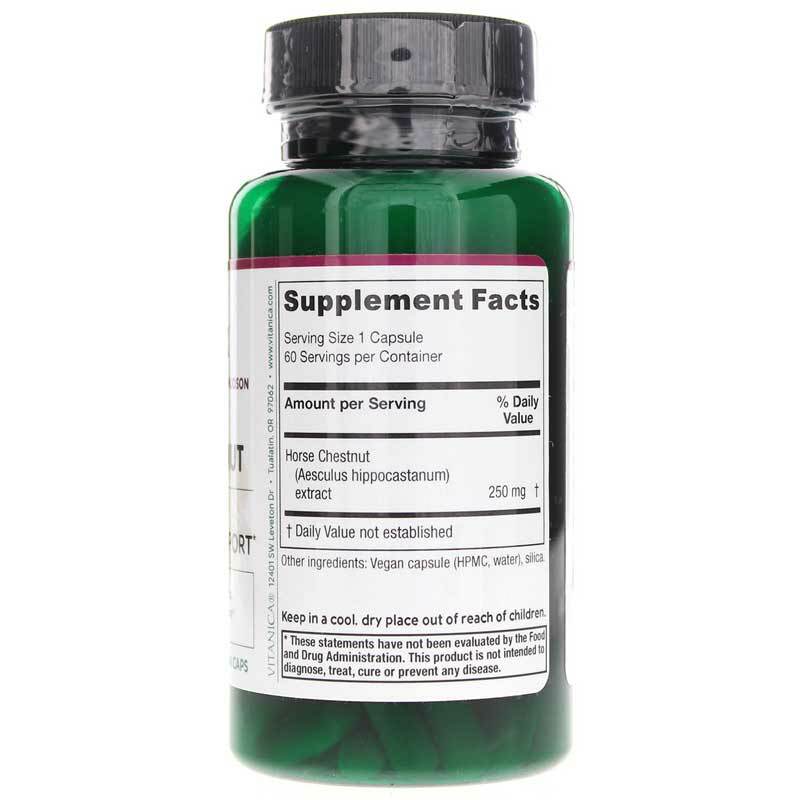 This supplement is free of sugars, starch, lactose, salt, wheat, gluten, yeast, soybeans, milk derivatives, eggs, peanuts, tree nuts, fish, shellfish, preservatives, binders, artificial colors and artificial flavors. 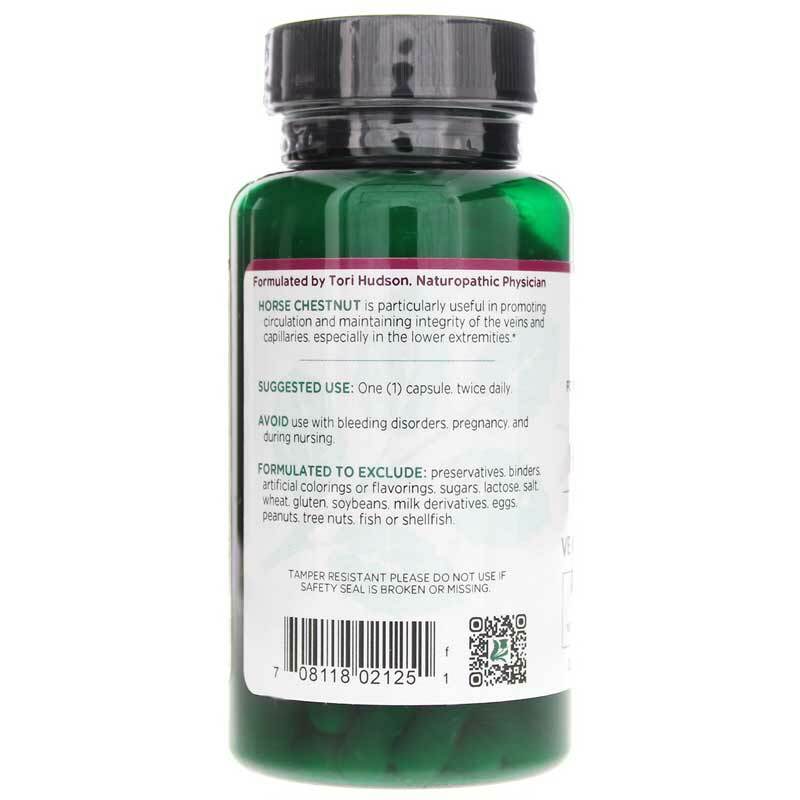 Despite the fact that this was formulated by a naturopath specializing in women's natural health, it is still suitable for men. 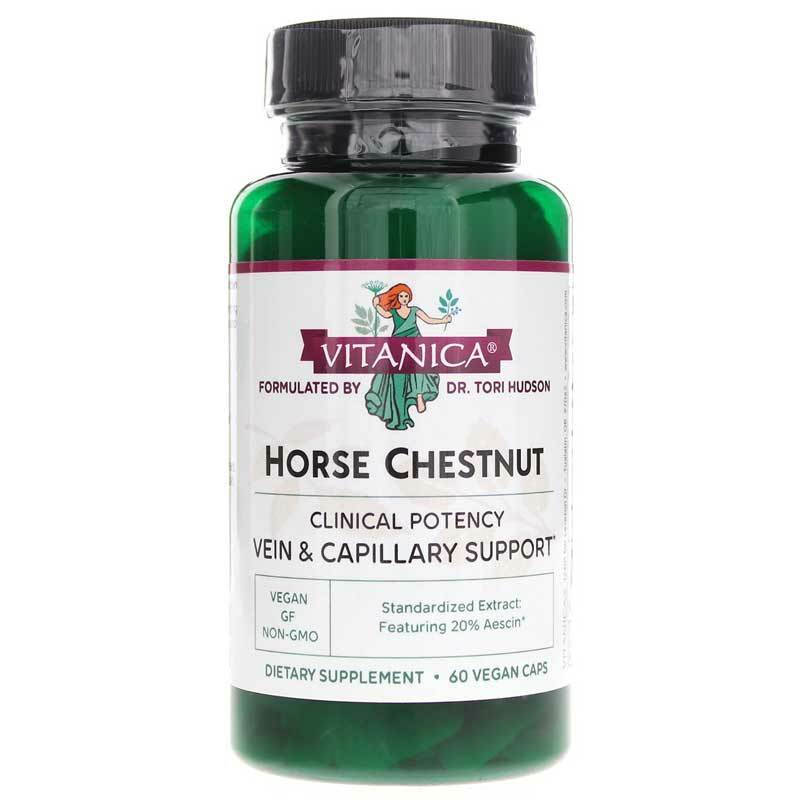 If you're looking for a natural supplement that seeks to support the veins and capillaries in the lower extremities, consider Vitanica's Horse Chestnut. Order online today! Other Ingredients: vegetarian capsule (vegetable cellulose, water), silica. Contains NO: preservatives, binders, artificial colors or flavorings, sugars, starch, lactose, salt, wheat, gluten, yeast, soybeans, milk derivatives, eggs, peanuts, tree nuts, fish or shellfish. Vegetarian/Vegan. Adults: One (1) capsule twice daily. Also suitable for men. Avoid use with bleeding disorders, pregnancy and during lactation. Keep out of the reach of children.